There won’t be a second season for Mob City. TNT has cancelled the Frank Darabont series after a short season of six episodes. Just 2.3 million watched the first two hours and only 1.4 million watched in weeks two and three. Based on the book titled L.A. Noir: The Struggle for the Soul of America’s Most Seductive City, the 1940s set drama features the talents of Jon Bernthal, Milo Ventimiglia, Neal McDonough, Alexa Davalos, Jeffrey DeMunn, Gregory Itzin, Robert Knepper, Jeremy Luke, and Ed Burns. What do you think? Did you watch and enjoy Mob City? Should they have made another season? 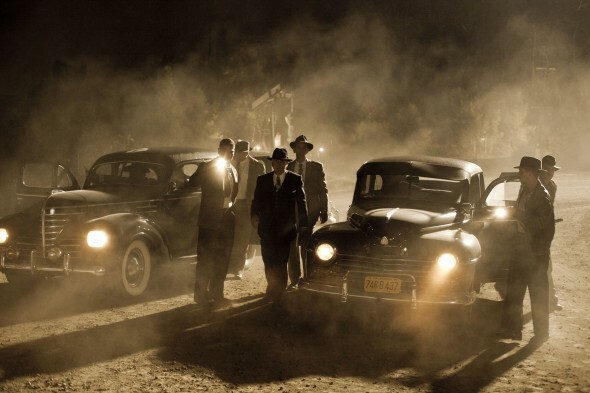 More about: Mob City, Mob City: canceled or renewed? I really loved that show I think they should have made another season and I think still should. I wanna continue watching it. As soon as I started watching this series I was extremely surprised just how good & realistic which was better than the other efforts & the PERFORMANCES were particularly convincing by truly fine ACTORS. Having read a considerable works on these ANIMALS such as PORTRAIT OF A MOBSTER & so many others I feel that series could have been an a fortiori addition that could have superseded even the BEST ONES hitherto. Series 1 was superb. We can’t believe series 2 has been scrapped. hello, im a big fan of mr. darabont and i wish TNT to continue this drama. the 6hours worth many hours of other tv shows. mob city is now my 2 top tv shows :)) my first is soprano i think a lot of them would agree :). TNT please make season 2. we all want it .